If you have any questions about the SWEET PEA information page below please contact us. The noteworthy superyacht SWEET PEA is a motor yacht. This 50 m (165 ft) luxury yacht was constructed at The Feadship Royal Van Lent Shipyard in 2000. SWEET PEA was formerly named Blue Moon Ii. Superyacht SWEET PEA is a elegant yacht that can sleep up to 12 passengers on board and has a total of 10 crew. This balanced superyacht has been brought about with the naval architecture of De Voogt Naval Architects. Donald Starkey Designs was successful with the interior design. 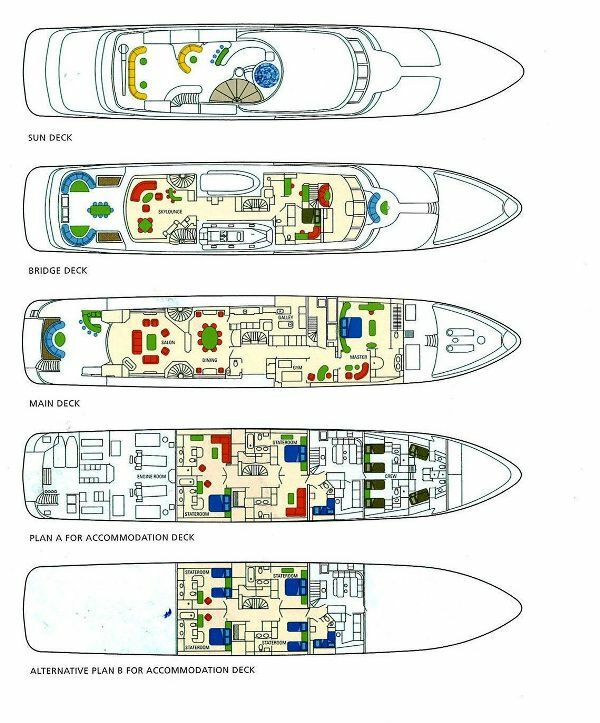 The yacht's general design work came from De Voogt Naval Architects. The professional naval architecture intellectual property are a products of De Voogt Naval Architects. 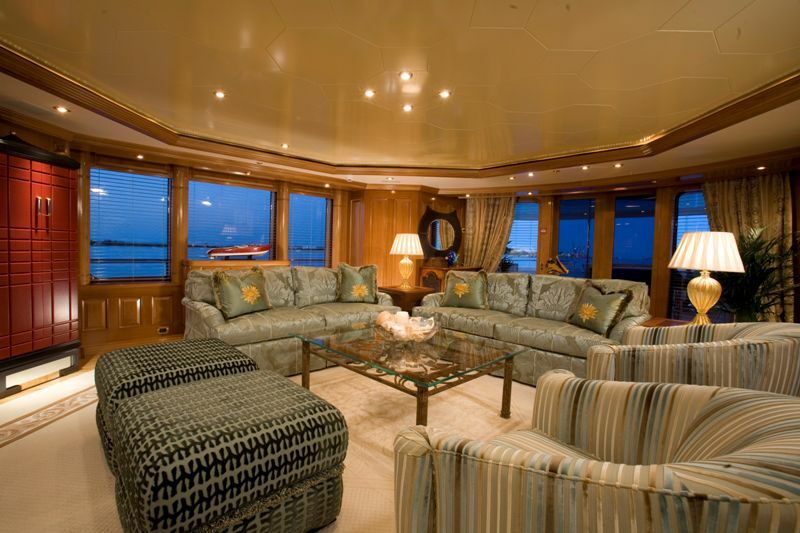 Motor Yacht SWEET PEA received her elegant interior designing from the interior design office of Donald Starkey Designs. In 2000 she was actually launched to triumph in Kaag and post sea trials and final completion was thereafter delivered to the owner. The Feadship Royal Van Lent Shipyard completed their new build motor yacht in the Netherlands. Her core hull was constructed with aluminium. The motor yacht superstructure component is fabricated predominantly with aluminium. With a width of 9.75 metres / 32 feet SWEET PEA has fairly large size. A fairly shallow draught of 2.6m (8.53ft) selects the number of worldwide marinas she can enter, depending on their particular characteristics. She had refit maintenance and alteration work undertaken by 2008. The motor yacht engages twin hearty CATERPILLAR main engine(s) and can drive at a comparatively good top end speed underway at 18 knots. The main engine of the yacht generates 1500 horse power (or 1104 kilowatts). Her total HP is 3000 HP and her total Kilowatts are 2208. Coupled to the SWEET PEA engines are twin screw propellers. As for the yacht’s stabalisers she was supplied with Quantum Zero Speed At Anchor. The boat’s spirited cruising speed is 16 knots which produces a range of 5000. 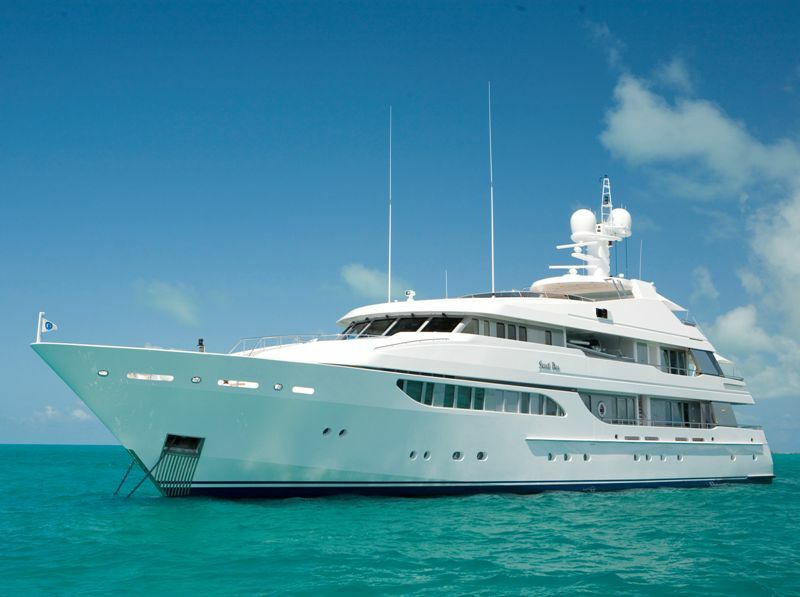 The sizeable luxury yacht M/Y SWEET PEA is able to accommodate a total of 12 passengers and 10 crew. Total engine power output 3000 HP /2208 KW. Northern Lights 3 times 145 kilowatts. In October 2009 SWEET PEA went to Sunrise, in United States. This motor yacht has traveled the cruising ground near Broward County during the month of October 2009. SWEET PEA features a teak deck. 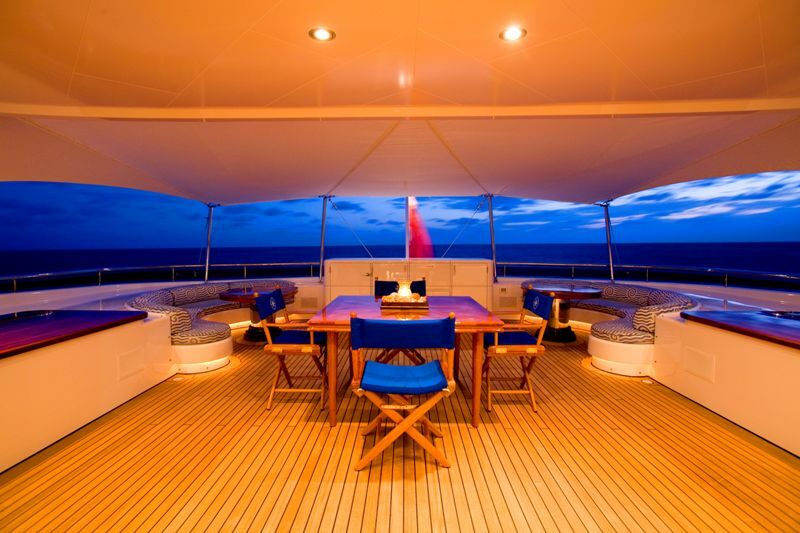 The luxury yacht SWEET PEA displayed on this page is merely informational and she is not necessarily available for yacht charter or for sale, nor is she represented or marketed in anyway by CharterWorld. This web page and the superyacht information contained herein is not contractual. All yacht specifications and informations are displayed in good faith but CharterWorld does not warrant or assume any legal liability or responsibility for the current accuracy, completeness, validity, or usefulness of any superyacht information and/or images displayed. All boat information is subject to change without prior notice and may not be current.